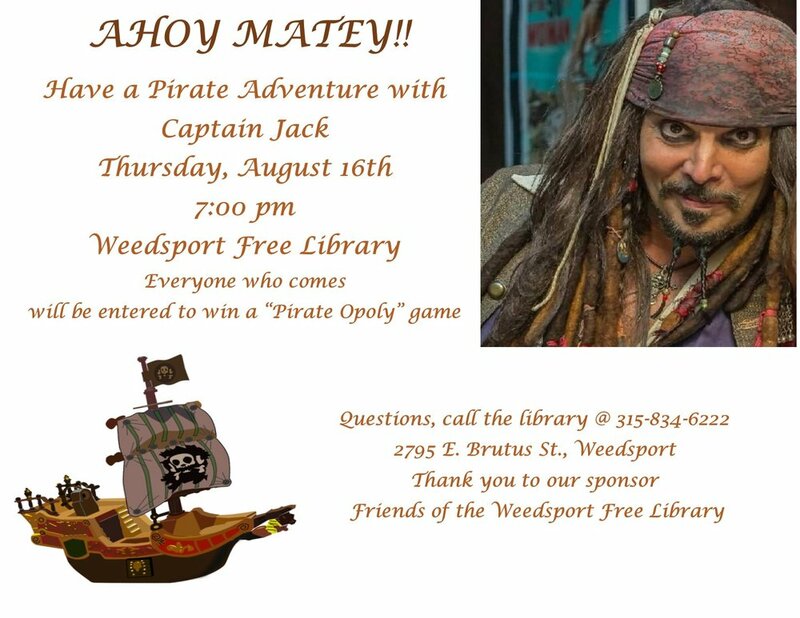 "Captain Jack" is coming to the library! Thursday, August 16th, 7 PM. For the whole family! Newer Post8/14 Gazebo Gathering will be held at the library at 7:00 PM. Older PostSenior Cinema for August features "Chappaquiddick"